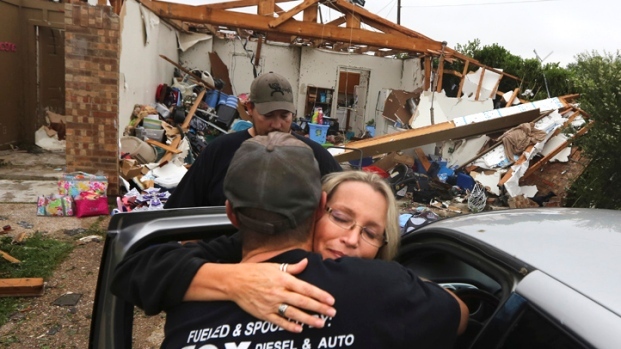 One year after a devastating EF4 tornado ripped through the towns of Cleburne and Granbury, residents will pause Thursday to remember the six victims who lost their lives. Dozens of homes were damaged or destroyed in Granbury’s Rancho Brazos neighborhood during the May 15, 2013, tornado, many of them flattened to the ground. Marilyn Luton said thinking about the damage still makes her cry. "It's a very emotional event here," Luton said. "It's still fresh, it's a fresh wound still." Deadly Tornado Still a "Fresh Wound"
Granbury officials said 270 families were impacted by the twister. All 60 Habitat for Humanity homes in the Rancho Brazos neighborhood were damaged or destroyed; 53 of them have been rebuilt. "Hundreds and hundreds of volunteers from this state and other states come down to help," Carol Davidson with Habitat for Humanity said. "They come to share love with other families. It's amazing what they do." One year after a devastating EF4 tornado ripped through the towns of Cleburne and Granbury, residents will pause to remember the six victims who lost their lives. About 1,500 volunteers from around the area have helped rebuild homes and clean up debris over the last year. Granbury resident Deana Kroner lost everything she owned in the tornado and has been living out of a motel the last eight months. She said she still has nightmares about the destruction. "Seemed like it lasted forever, and then it calmed down and it was done, and I came out, that whole entire part of the street was gone,” said Kroner. “It’s heartbreaking. I was home when it happened. I came out and I saw the devastation. I saw people crawling out from under their homes. I gave away my shoes and towels and my mom’s shoes and towels. It was just horrific. There’s still so much not here that used to be here,” she said. Volunteers finished up her new house last month and Kroner will get the keys and move in next week. “I’m going to feel honored and treasured. So proud of my community and everyone who helped us,” Kroner said, fighting back tears. 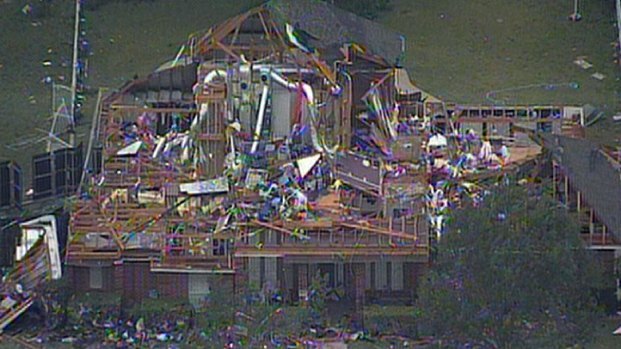 Six people died in the Granbury tornado. On Thursday afternoon, there was a remembrance for those victims at the Rancho Brazos community center, where everyone prayed and six trees were planted in their memory. NBC 5's Julie Fine and Holley Ford contributed to this report.